Netflix is adding another animated series to its vast catalog. Written by Die Hard screenwriter Jeb Stuart, The Liberator will be a WWII set drama produced by Trioscope Enhanced Hybrid Technology. The animation will be a combination of live action performances and CGI effects. Trioscope was created by animators Grzegorz Jonkajtys, a visual effects artist who's film resume includes Pacific Rim, Pan's Labyrinth, and The Revenant, and L.C. Crowley from Atlanta animation studio School of Humans. 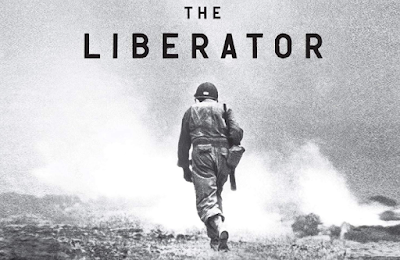 The four part series is based on the novel The Liberator: One World War II Soldier's 500-Day Odyssey by Alex Kershaw. The story will follow officer Felix Spark and the 157th Infantry as they fight their way across the Nazi occupied countries of Europe. Closely following the timeline of Kershaw's novel, the story is set to begin during the invasion of Italy and conclude during the liberation of the Dachau concentration camp. Jonkajtys has been announced to direct the series with School of Humans, A+E Studios, and Unique Features tackling the production. Netflix has proven to be one of the most unique and diverse providers for animation. With shows such as Castlevania and Devilman Crybaby, there have been limited restrictions when it comes to gore and violence. Combine that with the hyper detailed animation of Trioscope, The Liberator looks to be an emotional series that will highlight the heartbreaks of war. Production is scheduled to begin soon with no release date being set as of yet.